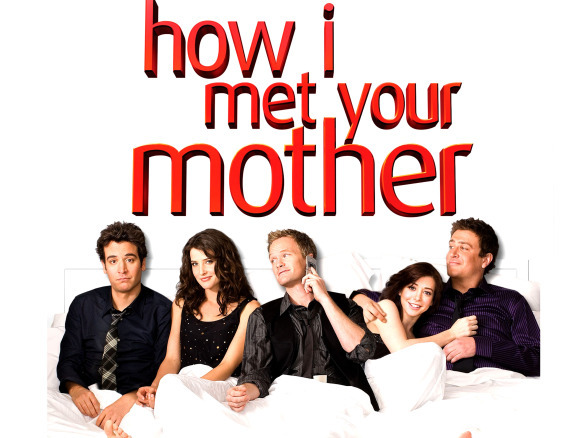 On Monday, the final episode of the CBS sitcom How I Met Your Mother (HIMYM) aired. You might have heard that a lot of people were very unhappy with the finale. Like a lot of people. You might be one of them. I know I am. I originally wrote this a few days before the finale, but I hesitated in posting it. You see, I had this horrible, awful feeling that the finale would negate everything I had to say. And I was right—sort of. However, I’ve tweaked this post a bit, and I’m ready now to share it. I’m not writing this because I want vent my frustration or anger at the writers. I can do that on Twitter with the rest of the world. I’m writing this post because even with that ending, I still love HIMYM. For many reasons. So, here we go. It should be obvious, but there will be spoilers. How I Met Your Mother premiered on CBS in the autumn of my sophomore year of university. I saw a couple of episodes, and the premise—a man in 2030 tells his teenage children the story of how he met their mother, starting the story when he was 27 in 2005—was intriguing, but it wasn’t until a few years later that I actually became a fan. After I graduated from university and set out into the world, I was reintroduced to the show, and suddenly it was incredibly relatable. These characters were older than me, but suddenly their friendships, relationships, trials and triumphs all made sense. I had thought HIMYM was just a Friends knockoff (and it is, in some ways), but I could relate to Ted, Robin, Marshall, Lily, and Barney (well, not really Barney), so much more easily than I ever could with Rachel, Ross, Chandler, Monica, Phoebe, and Joey. There are many reasons why one might like HIMYM—the jokes, the Bro Code, the characters, Neil Patrick Harris—but for me what I have loved most is the storytelling. True, it took Ted Mosby nine years to tell his kids the story of how he met their mother, but the storytelling of the show—the character development, the steady voice of Ted, the little quirks and the tidbits—these are the things I have enjoyed so much. Every three years, you should watch Star Wars and contemplate your life choices. But perhaps the most important truth from HIMYM is one that I’ve learned in real life as well: You can’t live in the past if you want a future. The story of how Ted Mosby meets the eponymous mother is a quest. In literature, a quest is a story in which the hero (Ted) is presented with an adventure, a goal, or a challenge, usually through some sort of catalyst. He’s accompanied on his quest by companions who offer wisdom (Marshall and Lily) and sometimes supernatural aid (Barney). He goes through various trials and tribulations (girlfriends, careers) until eventually he runs into the abyss and is stuck suffering and wallowing in despair. But once he pulls himself out of that pit, he can complete his quest. In the pilot, Ted is content with his life until his best friend Marshall Erikson proposes to Lily Aldrin. The knowledge that the two closest people to him are about to get married causes Ted to reconsider his life, even though his friend Barney Stinson is determined to sway him to embrace bachelorhood. In the pilot, Ted meets a beautiful, and interesting woman, with whom he falls in love with immediately. And then the episode ends with a revelation we weren’t expecting: this isn’t the kids’ mother. Its their “Aunt” Robin. The great “what if?” can take many forms. It can be a person (or in Ted’s case, many people), a job, a city—any sort of commitment. What if? The problem with the “what if?” is that it’s power lies all in the potential and never in the actualization. What if Ted and Robin date? In the second season they do… and it doesn’t work out. They want different things. Ted is driven by this conventional American dream of a career, wife, and kids. He wants a plan and stability. Robin doesn’t. Robin: Or Tokyo, or Paris. Look Ted, I don’t know where I’m going to be in five years. I don’t want to know. I want my life to be an adventure. Robin and Ted split up, she jets off to Argentina for a while, and Ted meets another girl. However, they remain friends, and this is something that continuously holds Ted (and Robin) back: there are still residual feelings that crop up. What if Ted loses Robin to someone else? Someone like Barney? What if Ted still loves Robin? What if Robin still loves Ted? What if? What if? And the “what if” keeps Ted from moving forward. It keeps Robin from moving forward. It is easier to hold onto a dream that can’t be realized than to take a leap of faith and hope there’s something good waiting in the unknown. I know, I know, that’s not Robin. Ted “what ifs” a lot of girls. we wake up two days later and it’s as if nothing has changed. We wallow around in self-pity. We become careless, reckless. We feel betrayed and forgotten. We stood up to life, and we got the rug pulled out from under us. It might just take us nine years before we discover that all those long nights wide awake, all those disappointing dates, all those leaps have been leading up to one final moment of truth. Ted would call it destiny. Robin would call it timing (Season 7, Episode 1, “The Best Man). I call it God. It’s easier to hold on to the Robin Scherbatskies in our lives when we think there’s nothing left to believe in. When you’re single, people tell you that crazy cliché that it’s when you stop looking for love that you find it. Maybe that’s true, but it’s a hard decision to make when you don’t have any faith. And what I love about HIMYM is that it’s not until almost the very end that Ted finally, finally conquers his feelings for Robin and gives her up. Because you see, if Ted is the hero, then Robin is the antagonist. She’s not a villain, but she is the obstacle that Ted must overcome to achieve his quest. And it’s not until season nine’s episode “The End of the Aisle” that he does. In the penultimate episode Robin and Barney are getting married. Ted has decided that there’s no future for him in New York now that his what if has been lost, so he decides to take another leap and run away to Chicago. Meanwhile, minutes before the wedding, Robin has cold feet and proposes that she and Ted run away together. Ted: Stop, stop! You’re saying this because you’re scared! I am not your future. Barney is. Robin: Shouldn’t I be with a guy who finds me my locket? The guy who steals me the blue French horn? I mean look me in the eye and tell me why shouldn’t I be with that guy? Ted: Because I’m not that guy anymore. Robin: Then why did you work so hard to find me my locket? Ted: It was a wedding gift. Robin: Ted, stop it, okay? I’ve known you better than that. This is more than a wedding gift. Robin: – that you still loved me. Ted: Maybe, but the truth is – I don’t love you like that anymore, and you don’t love me. You love Barney, and if you think I would ever be part of screwing that up, then maybe you don’t know me at all, Robin. This is why the finale bothers me—Ted was right. He has changed. He’s not the same person he was when he first saw Robin nine years ago. Neither is Robin the same woman. None of the characters are. They’ve all grown and changed as characters do. As they’re supposed to. This is shown in the very same episode by the other characters. Lily and Marshall stand up at the altar and update their vows because they realize that they have changed and grown, and so must their marriage. Barney vows to Robin before the ceremony to always be honest with her, a reflection of a huge change in his character and a symbol of how much he loves her. And now, following the literary laws of the quest, Ted has reached the climax of the show. Now he’s ready to meet this woman for whom he’s spent nine years looking. Now this quest can end and another can begin. Because Ted gave up on living in the past to find his future. And this has always been what Ted has had to learn—to move forward. The Mother: I don’t want you to be the guy who lives in his stories. I want you to move forward. There are things that occurred in the finale that I had already suspected and, in some ways, made my peace with. What I disliked in the finale was how the ending came about. One day I’ll forgive the writers for writing themselves into a corner. I would say, though, that there were good things that happened in the finale. For one thing, Ted officially met Tracy, and she was everything Ted (and the viewers) had been waiting for. We also got the chance to see that the story of how Ted met Tracy wasn’t the only story in his life. There are other stories that happen. We just have to keep moving forward so that when one story ends, another can begin. That is amazing and extremely hopeful. This entry was posted in TV Review and tagged #himymfarewell, himym, himym finale, how i met your mother, ted mosby. Bookmark the permalink.